Prefer to mail in an order form? 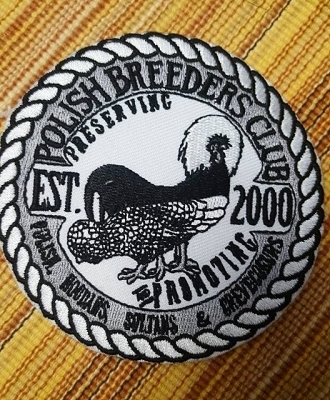 The Polish Breeders Club (PBC) is dedicated to preserving and promoting Polish, Houdan, Sultan and Crevecoeur fowl as described by the American Poultry Association and the American Bantam Association. 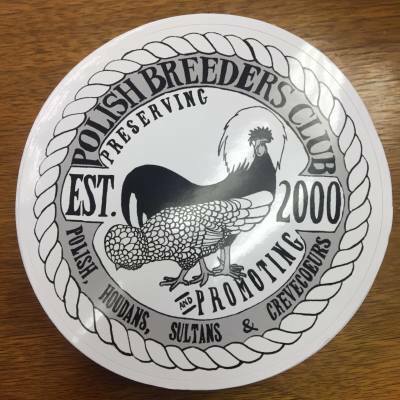 As a member, you will receive the PBC quarterly newsletter, annual breeders' and membership directories, and enjoy the club's Facebook page and internet website where upcoming events and general club news is shared. For members, the nteractive website serves as a place to gather and share information on the maintenance, breeding, health, and exhibition of our breeds. You will be able to access current advertisements for birds, eggs and equipment in the membership forums as well as discuss any concerns you have in regards to your birds in a supportive and helpful environment. There are places to proudly announce your breeding achievements and share your victories within the show arena, or just connect and chat with breeders of like interests. A show calendar with state, district, and national meet information is available to help you plan your exibition schedule. In addition, members of the club are boldly recognized at shows with awards, trophies and/or ribbons to publicly celebrate their accomplishments. A PBC point-system is in place for annual and cumulative recognition of excellence in breeding and exhibition. Junior members additionally participate in a program specially designed to teach them the general points of exhibition, handling, care, maintenance, and breeding of poultry as well as the finer details of the club's individual breeds. Juniors are our breeds' future! united in a common goal! Please fill out the PBC Membership Application in its entirety and return it either by email or USPS, as instructed below. If you choose this option, please pay your dues securely online via Paypal. Please select from one of the links below to pay via PayPal. With either option, your membership will become effective after approval and when funds have cleared. You will receive a notice and a PBC welcome package when the membership application is complete.